For most people in Japan, Edo is more than just a historical city. It also has a symbolic image and meaning. It represents nearly everything that they consider a part of their "traditional" culture.
. . . . . - source : pinktentacle.com ?
. 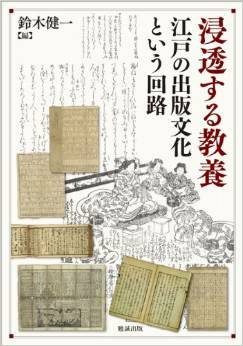 Culture and Lifestyle in Japan .
. Edo no gaidobukku 江戸のガイドブック Guidebooks for Edo . 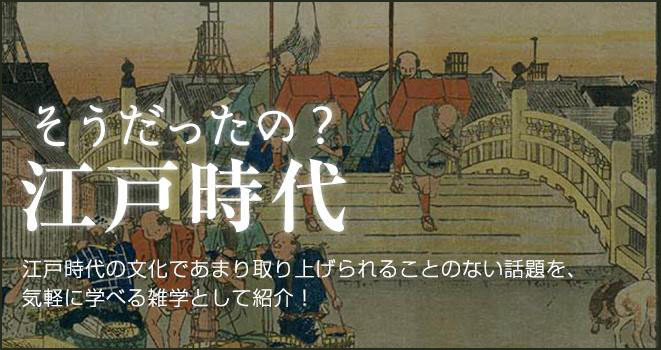 - - - Edo Tokyo Database / Great-Edo Database - This database searches for and displays the Edo and Tokyo related documents on this site by document type and keyword.
. . . a facility to preserve the historical heritage of Edo-Tokyo. ... to let you explore and discover old Tokyo, in particular the areas associated with shitamachi. 江戸時代の絵画、書、和歌、俳句、古文書 - very extensive resource !
. MORE - Titles of Books, Articles etc. - Book, Buchtitel .
. Edogaku Jiten 江戸学事典 Dictionary of Edo . 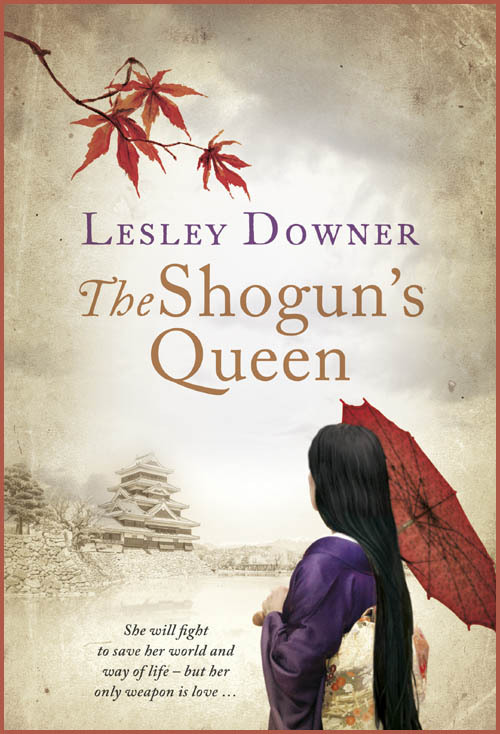 the life of Okatsu, a young woman who grows up to be the Shogun’s Queen. 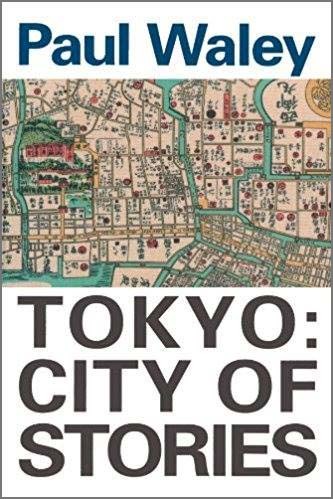 Sacred High City, Sacred Low City: A Tale of Religious Sites in Two Tokyo Neighborhoods.
. Ishikawa Eisuke Ishikawa 石川英輔 . 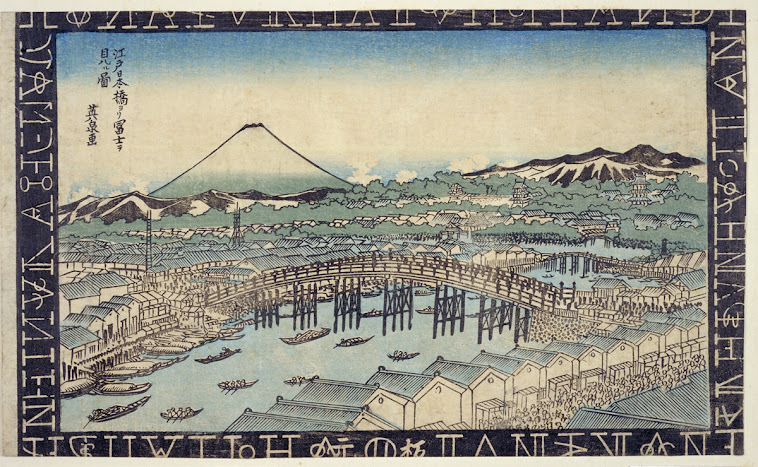 Literature from Japan’s Mega-City, 1750-1850 . 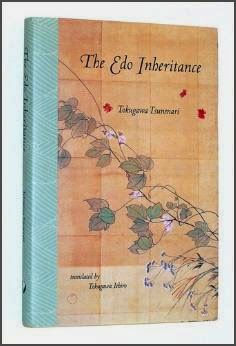 In 2007, Tsunenari published a book entitled Edo no idenshi (江戸の遺伝子), released in English in 2009 as The Edo Inheritance, which seeks to counter the common belief among Japanese that the Edo period (throughout which members of his Tokugawa clan ruled Japan as Shoguns) was like a dark age, when Japan, cut off from the world, fell behind. On the contrary, he argues, the roughly 250 years of peace and relative prosperity saw great economic reforms, the growth of a sophisticated urban culture, and the development of the most urbanized society on the planet.
. Buyo Inshi　武陽隠士 . paints a vivid portrait of Tokugawa Japan, a time when contact with the outside world was deliberately avoided and the daily life of the different classes consolidated the traditions that shaped modern Japan. 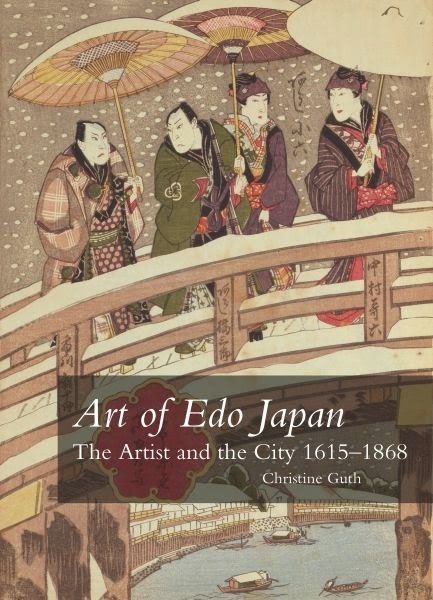 and over 100 illustrations, authentic samurai, farmers, craftsmen, merchants, courtiers, priests, entertainers and outcasts come to life in this magnificently illustrated portrait of a colorful society. Most works of Japanese history fail to provide enough details about the lives of the people who lived during the time. The level of detail in Everyday Life in Traditional Japan allows for a more complete picture of the history of Japan. Charles J. Dunn, describes how each class lived: their food, clothing, and houses; their their beliefs and their fears. At the same time he takes account of certain important groups that fell outside the formal class structure, such as the courtiers in the emperor's palace at Kyoto, the Shinto and Buddhist priests, and the other extreme, the actors and the outcasts. he concludes with a lively account of everyday life in the capital city of Edo, the present–day Tokyo. Of all the world's great cities, Tokyo remains one of the least well known. Paul Waley calls forth the stories sleeping behind the glass and chrome of today's fast-paced metropolis and conjures the traces of Tokyo past overlapping Tokyo present. Paul Waley is a scholar of Human Geography at the University of Leeds. 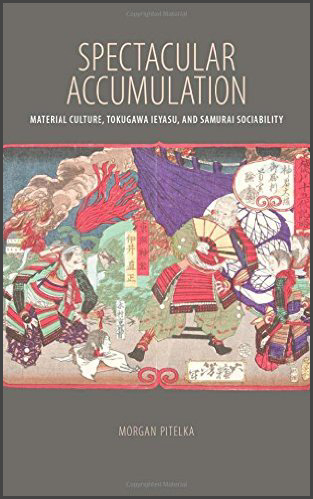 In Spectacular Accumulation , Morgan Pitelka investigates the significance of material culture and sociability in late sixteenth-century Japan, focusing in particular on the career and afterlife of Tokugawa Ieyasu (1543-1616), the founder of the Tokugawa shogunate. The story of Ieyasu illustrates the close ties between people, things, and politics and offers us insight into the role of material culture in the shift from medieval to early modern Japan and in shaping our knowledge of history. This innovative and eloquent history of a transitional age in Japan reframes the relationship between culture and politics. Like the collection of meibutsu, or "famous objects," exchanging hostages, collecting heads, and commanding massive armies were part of a strategy Pitelka calls "spectacular accumulation," which profoundly affected the creation and character of Japan's early modern polity. Pitelka uses the notion of spectacular accumulation to contextualize the acquisition of "art" within a larger complex of practices aimed at establishing governmental authority, demonstrating military dominance, reifying hierarchy, and advertising wealth. He avoids the artificial distinction between cultural history and political history, arguing that the famed cultural efflorescence of these years was not subsidiary to the landscape of political conflict, but constitutive of it. Employing a wide range of thoroughly researched visual and material evidence, including letters, diaries, historical chronicles, and art, Pitelka links the increasing violence of civil and international war to the increasing importance of samurai social rituals and cultural practices. Moving from the Ashikaga palaces of Kyoto to the tea utensil collections of Ieyasu, from the exchange of military hostages to the gift-giving rituals of Oda Nobunaga and Toyotomi Hideyoshi, Spectacular Accumulation traces Japanese military rulers' power plays over famous artworks as well as objectified human bodies. 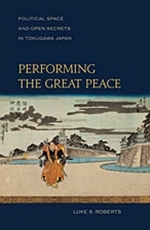 Performing the Great Peace offers a cultural approach to understanding the politics of the Tokugawa period, at the same time deconstructing some of the assumptions of modern national historiographies. Deploying the political terms uchi (inside), omote (ritual interface), and naisho (informal negotiation)—all commonly used in the Tokugawa period—Luke Roberts explores how daimyo and the Tokugawa government understood political relations and managed politics in terms of spatial autonomy, ritual submission, and informal negotiation. Roberts suggests as well that a layered hierarchy of omote and uchi relations strongly influenced politics down to the village and household level, a method that clarifies many seeming anomalies in the Tokugawa order. 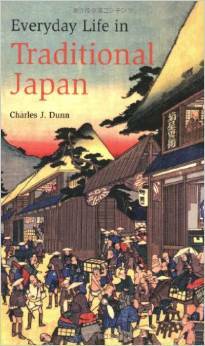 He analyzes in one chapter how the identities of daimyo and domains differed according to whether they were facing the Tokugawa or speaking to members of the domain and daimyo household: For example, a large domain might be identified as a“country” by insiders and as a “private territory” in external discourse. In another chapter he investigates the common occurrence of daimyo who remained formally alive to the government months or even years after they had died in order that inheritance issues could be managed peacefully within their households. The operation of the court system in boundary disputes is analyzed as are the “illegal” enshrinements of daimyo inside domains that were sometimes used to construct forms of domain-state Shinto. Performing the Great Peace’s convincing analyses and insightful conceptual framework will benefit historians of not only the Tokugawa and Meiji periods, but Japan in general and others seeking innovative approaches to premodern history. 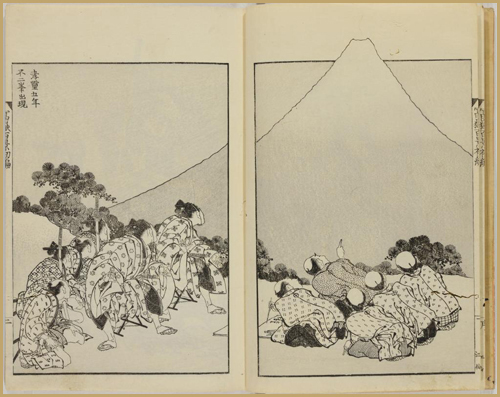 The Freer | Sackler Library of the Smithsonian Libraries have completed digitizing over 1100 volumes/41500 images from its collection of illustrated Japanese woodblock-printed books and manuscripts from the Edo and Meiji periods (1600-1912). The Edo period (1603–1868) witnessed one of the great flowerings of Japanese art. Towards the mid-seventeenth century, the Japanese states were largely at peace, and rapid urbanization, a rise in literacy and an increase in international contact ensued. The number of those able to purchase luxury goods, or who felt their social position necessitated owning them, soared. Painters and artists ﬂourished and the late seventeenth century also saw a rise in the importance of printmaking. There were dominant styles and trends throughout Japan, but also those peculiar to specifc regions, such as the Kanto (Edo) and the Kamigata (Osaka and Kyoto) and, more remotely, Nagasaki. A Social History of Sōtō Zen Buddhism in Tokugawa Japan . IT IS LARGELY DUE to the efforts of the 19th-century Japanese artist, Sakai Hoitsu (1761-1828) , that the almost forgotten art of Rimpa was revived. Hoitsu, who hailed from Edo (present-day Tokyo), was the second son of the Lord of Himeji and of samurai stock. He seemed to have been familiar with the folding screens of Kyoto-born Ogata Korin (1658-1716) after whom Rimpa, ‘school of Rin’ was named, since a fifth- generation ancestor had engaged the latter’s services. Hoitsu had impeccable artistic credentials. Enrolled to study painting in 1797 under the venerable Bunnyo Shonin at the Nishi Honganji temple in Kyoto, he was conferred the honorary rank of Gondai Sozu, given to those of illustrious background. Although adept at both the Kano school style of Kano Takanobu as well as the ‘bird and flower’ style of Shen Nanpin of the Nagasaki school, it was the oeuvre of Korin that really moved him. Around 1807, Hoitsu began to research Korin’s works in earnest, going on to compile the first volume of Korin Hyakuzu (One Hundred Works of Korin) in 1815, followed by a second in 1826. As samurai armor was rarely uniform, it became difficult to tell friend from foe in the close and violent skirmishes. Often the noborimono, or sashimono flags won in the back of the armour would be removed before battle, or be broken off, and in the excitement, fighters would forget the secret passwords decided upon at the beginning of the campaign, and so other forms of identification called Ai-jirushi were worn. These small flags would be fitted to the left shoulder guard, the front of the armor at the waist, and at the back of the helmet. Often weapons, particularly spears, would also sport these identification flags. These particular ai-jirushi, in near perfect condition, date to the mid 1700's. They are made from coarse hemp cloth, (asa) and supported by a slice of bamboo. They were discovered in an old warehouse near Okayama about 5 years ago. 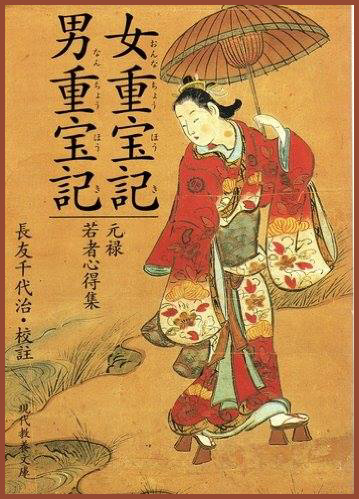 "Edo ki Onna Hyogensha Jiten,"
The Biographical Dictionary of Female Authors in the Edo period. 豊国 (国貞) Toyokuni III (Kunisada), the artist; the series title 江戸名所百人美女 Edo Meiso Hyakunin Bijyo One Hundred Beautiful Women at Famous Places in Edo; in the upper left inset is 赤羽橋水天宮 Akabane-bashi Suitengū Shrine.